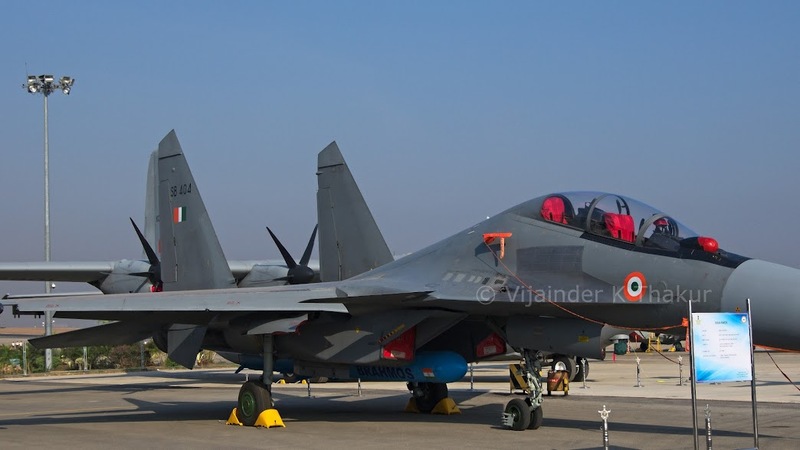 The IAF received the first BrahMos missile integrated Su-30MKI from HAL during Aero India 2015. The second Brahmos capable Su-30MKI is expected to be delivered in 13 months. Ten tests of the Brahmos-A will be conducted by through the year 2015, before the missile is inducted into service in 2016. In May, a test flight with the launching system for the missile will be conducted. The Russian press has given extensive coverage to Brahmos-A. The following tweet is interesting. Brahmos is a big missile, but note how the Su-30MKI makes it look small! IDP Sentinel members can read more about the Brahmos-A at the link below.